We're showing information for 53575. Customers and consumers are more informed concerning their purchasing options than ever. They will only give their business to companies that offer the best products, services, and buying experience. This means that Wisconsin business owners have to work harder than ever to remain competitive. Having a fast, reliable Internet connection will set your Oregon, Wisconsin up for success. Get a Frontier Business package to outfit your business with phone and Internet services—including Business High Speed Internet—and and never lose customers due to poor communication or support again. Doing successful business in aggressive markets like those that exist in The Badger State requires access to effective tools. It is projected that CITNAME’s job-growth rate will approach an average of 30.52 percent in the near future. That means, in addition to competing for customers, you’ll also have to strive to land the best employees. You’ll have an easier time connecting with potential employees, customers, and partners—with Frontier’s services for small businesses. Instantly inform your customers about promotions and enhance your latest sales campaigns with Frontier Texting. 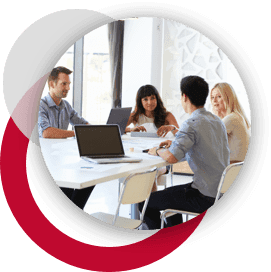 Conferencing is yet another available feature that can help your company set and reach goals. Maintain connections and keep them protected with Managed IT services. You can even improve your online presence through Frontier’s Web Development and Hosting services. There’s an extensive list of challenges that growing companies across Wisconsin must overcome. Frontier’s enterprise solutions help businesses surmount common obstacles and reach their goals. You’ll be able to provide your current customers with reliable service, even while you focus your efforts on building new business. With scalable Ethernet (Local Area Network and Virtual Private Line) your company will be able to adapt with ease as it grows. This system can keep up with the increasing bandwidth and ever-changing connectivity needs of businesses. Plus, you’ll be able to safely access online information over a secure IP connection, thanks to our IP Virtual Private Network. However, scalability isn’t the only thing you need in a market like Oregon’s. That’s why Frontier Communications also offers crystal-clear phone connections, allowing you to stay effectively connected to customers, no matter where they are. Imagine having high quality telephones and easy-to-use advanced features to connect to clients anywhere in The Badger State. And this is just some of what you’ll get with Centrex from Frontier. If that’s not enough, then consider that you won’t have to worry about updating equipment, hosting, monitoring, or even network design—because Frontier can manage all those issues for you. 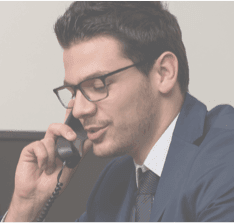 Not to mention, if you take advantage of the Hosted VoIP solution, you can enjoy features such as Voicemail, Caller ID, unlimited nationwide calling and the latest technologies like voice-to-email integration—all in addition to the pristine sound quality delivered through Frontier voice solutions. In every industry--whether it is Health Care, Finance, Education, or Retail--customers want to quickly connect with reliable service providers. The residents of Oregon, WI have the same expectations. Your customers will expect to be able to get in touch with you over their preferred means of communication, whether that be through email, on the phone, or in person. Keep both current and prospective customers happy by making that step easy. When you sign up with Frontier in your area, you get dependable customer service and advanced infrastructure and equipment. Plus, Frontier's services are customized to fit your industry, so you'll be a step ahead of the competition. Cybercrime is a real threat to Wisconsin businesses—especially when you consider that 0 cybercrimes were reported in Wisconsin in 2013. Frontier can protect your physical assets with equipment replacement programs while protecting your digital assets with Frontier Secure. With features like advanced tech support, cloud backup for important data, and anti-malware software, your online assets can stay safe and your system can be shielded from cyber-attacks. Frontier does more than provide security. It also offers superior Internet speed to businesses in Wisconsin. Frontier offers speeds of up to , meaning you’ll spend less time downloading files and more time meeting the needs of your customers and promoting your brand.